Wow has Sparky done well. I know I haven't kept up with his page, but he is amazing. 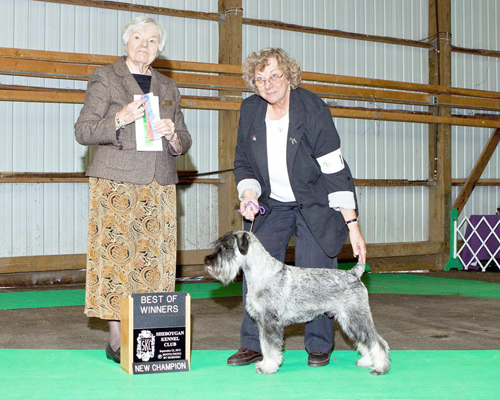 show dog. 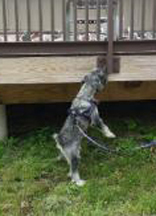 She does many other activities with her other two Standard Schnauzers. Specials ring in 2013 and beyond. 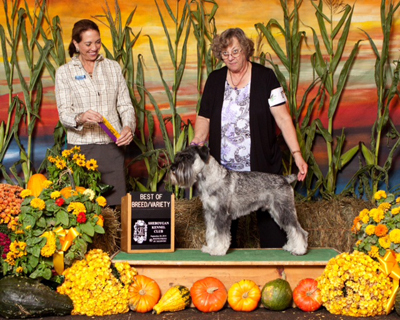 Below is CH Von Rose Commander Sparks championship picture! Well little Sparky grew up a beautiful boy with natural ears. a great team. We are so proud of them as they have competed in the show ring. the good traits of his mother and father. We can't wait to see what is next for him! Sparky finishes his Grand Championship ... 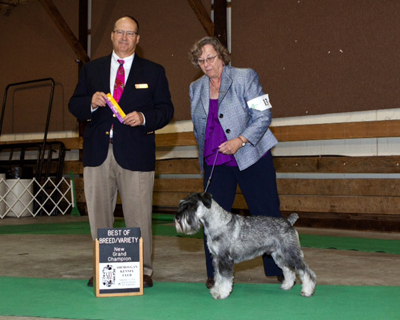 He is Magic and Cinders first GCH! Working on some nose work.